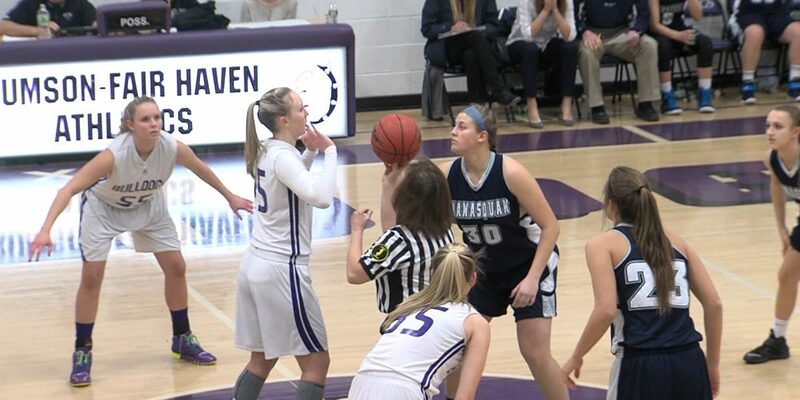 Manasquan 58 Rumson-Fair Haven 55 – Marina Mabrey had 26 points including a steal on the final play of the game and Victoria Galvan had back to back three point plays in the fourth quarter to allow the Lady Warriors a come from behind win and a season sweep of RFH. See highlights between two outstanding basketball teams and post-game reaction from coach Lisa Kukoda. Morgan Graziano had 17 and Mia Ehling added 16 as the Lady Hornets opened the game with a 14-0 run. Holmdel improves to 7-5 on the season and hosts a 10 team showcase featuring five Shore Conference schools this Sunday. The Colonials snap a five game losing skid completing a season sweep of the Lions and picking up their 4th win of the season. Daniel Gewirtz led the way with 15 points. The Red Raiders score a second straight road win in as many days. After a win at Henry Hudson on Thursday, Keyport raced out to a double digit halftime lead at Ranney. Travis Alvarez had 13 points and 9 rebounds and head coach Phil Recco picked up his 100th career victory.